The annals of video game history are filled with experiences and creations that changed the face of games for years and decades afterwards. 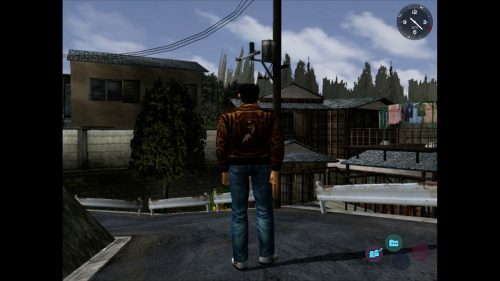 While many of these games became franchises and continued to see successful releases, some were seemingly cut off in their prime – such as Shenmue. 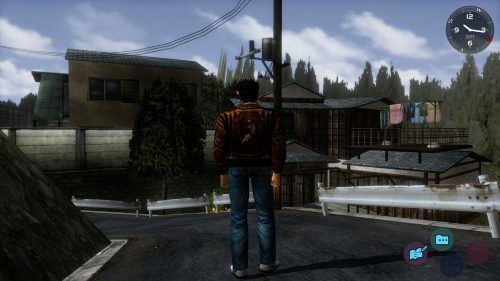 With the announcement of Shenmue III at E3 2015, calls for Shenmue 1 + 2 to come to modern consoles reached a fever pitch, with SEGA confirming that they were the most requested remasters in company history. Finally, those prayers have been answered, with both games coming to modern platforms, giving many the chance to experience them for the first time – myself included. Unfortunately, this new release of Shenmue 1 + 2 stops short of giving the games much beyond a lick of paint, while introduced a host of new bugs and glitches that actively harm the experience. Much has been said of the original Shenmue’s design and gameplay elements being ahead of their time, and there is no doubt whatsoever that this is the case after my time with the game. It’s insane to think that the open environments, weather and night/day systems were possible almost 20 years ago. Not only are they there, they’re tied into the game’s inherent design, with certain events tied to specific times of day and times/weather affecting NPC behaviour. Treated in isolation, given their age, they’re incredibly impressive and build towards an immersive experience, but the truth is that they have aged badly since release. The night/day system is great, except that quests are gated behind certain times of day and Shenmue doesn’t afford you the option of waiting time out quickly, ala Elder Scrolls games – although this is addressed in Shenmue II. 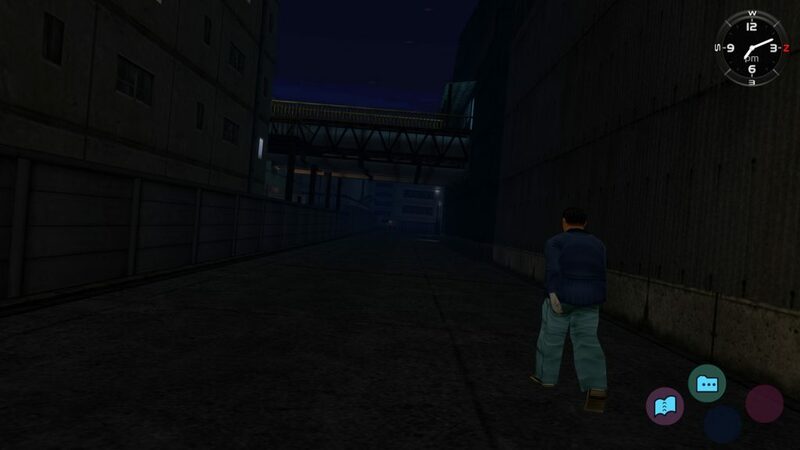 While the area of Shenmue is relatively large, it feels devoid of enough meaningful content to keep you engaged – another thing that is addressed in Shenmue II with the introduction of multiple part time jobs, more arcade games to play and more interactions available. In fact, my time with Shenmue was filled with the promise of more, only for the game to never really fulfil that promise before unsatisfyingly ending. The story follows Ryo Hazuki, a young Japanese martial artist and student, who comes home one day to see his father murdered by a mysterious Chinese martial artist. Stricken with grief, and a desire for revenge, Ryo sets out to investigate this mysterious martial artist with a view to locate him and exact vengeance upon him. This investigation is almost entirely the sole focus of your story in Shenmue, with some importance also given to Ryo’s relationships with the other characters you’ll encounter. The heavy focus on this investigation, and ultimately revenge for Ryo’s father’s death, builds gradually builds towards a crescendo – only for the crescendo not to show up. Instead of exacting vengeance, or even meeting the killer, you’re instead told he’s already left the country and the game unceremoniously ends with the promise of more in the next game. Anti-climaxes can certainly be effectively utilised within a story, but to end on one that is so unfulfilling was incredibly disappointing and disengaging. 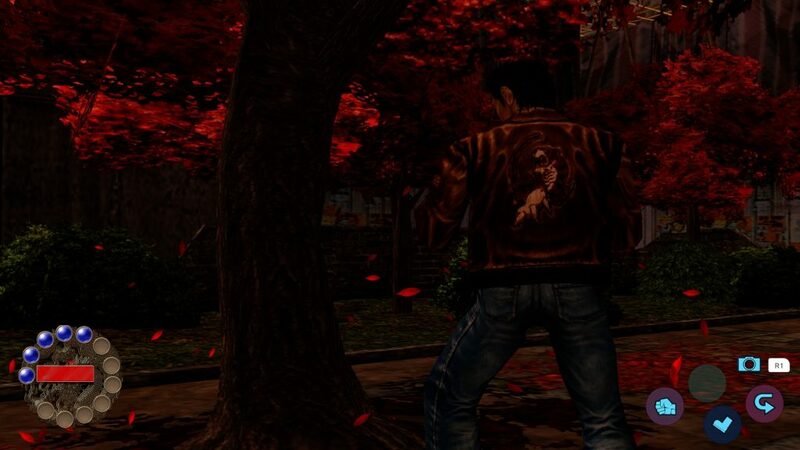 As with other aspects of the Shenmue collection, the story really picks up in Shenmue II. Ryo is still searching for his father’s killer, but now has the hustle and bustle of Hong Kong – and later Kowloon – as a backdrop. These new locations help create a sense of discovery that was lacking in the original, as the focus changes from a series of minor characters that Ryo already knew to a larger range of characters, with larger story importance and exposition, who you get to know as you progress. There are more cutscenes, each with more substance and seeming importance than in the first game, and the characters are fleshed out and feel important in a way that the original’s didn’t. This helps the more dramatic moments in the story have more weight behind them, leaving me want to see more after each one, compared to the trudge that Shenmue became towards the end. I only wish that the original was as engaging as its sequel. The story of Shenmue I + II is shown through cutscenes, conversations with main characters and interactions with minor NPCs, all of which are interspersed with Quick-Time Events (QTEs) for the more dramatic moments. Unfortunately, their implementation is haphazard, with little warning as to which scenes will feature them, and unresponsive. I often found myself hitting the correct button while the prompt was still on the screen, only for the game to decide I had failed anyway. Unresponsive also goes quite a way to describing the general controls in Shenmue I + II, which are one of this collection’s most frustrating elements. If you have played old Resident Evil games you may already be familiar with tank controls, but for those that haven’t, this basically means that your character is unable to strafe or quickly turn. Pushing right or left on your d-pad or analog stick while cause your character to slowly meander forwards while beginning to turn in the requested direction, as opposed to simply turning left or right. This becomes especially annoying in combat, doubly so later in the game when you’re often surrounded by enemies, as you can’t easily turn left or right towards them. Instead of quickly turning towards enemies, I found myself frequently fighting the game’s controls to try and go in the correct direction. The same can be said for when you’re in smaller, more enclosed spaces, – this is more frequent in Shenmue II – where you frequently have to turn around and course correct because your character has managed to hit the desk 20cm to the right of the character you needed to speak to. The frustration with the controls actively hampers a combat system which is otherwise fun and engaging. 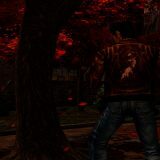 As a martial artist, Ryo has a range of attacks that he can use against his opponents. Each of these is either a single face button or a combination of directional inputs, triggers or face buttons, similar to the systems in a fighting game. It gives the game a unique feel, where learning and practicing moves feels incredibly rewarding and directly correlates to your success in battle. Its quite unlike anything else on the market, even today, and could have been amazing with some form of adjustment to the controls for this release. 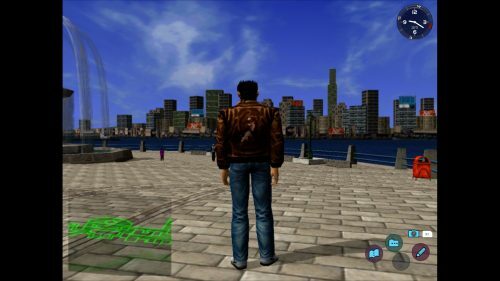 That sentiment was not unique to the controls, however, as there is a significant lack of updating throughout the entirety of Shenmue I + II. The most confronting example of this is Shenmue’s voice recordings, which have obviously not been updated in any way from their original release. Every character sounds like they’re talking through the speaker inside a birthday card, with the muffled and distorted voices sounding utterly terrible. Another is the cutscenes in Shenmue II not being updated to proper 16:9. While the cutscenes in Shenmue were originally created in 4:3, the cutscenes in Shenmue II were 16:9 videos letterboxed by black to fill a 4:3 screen. This hasn’t been updated for this release, meaning that all cutscenes in Shenmue II are shown in a small section of your screen that is completely surrounded by black bars. In reality, only a couple of intentional changes have been made to the games for this release – the left analog stick now moves Ryo and the game now renders in 16:9 with some updates to fidelity of textures and lighting. While only a couple of intentional changes have been made to Shenmue I + II, a number of unintentional ones have been made as well. Bugs and glitches riddled my time with both games, with them varying in how annoying and frustrating they could be. In Shenmue, I encountered bugs where cutscenes wouldn’t display, instead showing you a static shot of a wall/floor, where audio effects looped continuously instead of playing the locations music, and had both locked first person views (in a third person game) and titled locked first person views occur. Most annoyingly, I found that the game would automatically un-pause if my controller disconnected while the game was paused and the final post-credits save was impossible to perform, as my controller disconnected during the credits and the game became unresponsive upon turning it back on. This last one forced me to recomplete the final boss battle of the game to be able to reattempt the save and therefore take my progress across in Shenmue II. Glitches I encountered in Shenmue II included pop ups becoming stuck on the screen, persisting through multiple battles and cutscenes, and QTE indicators not appearing on screen. Across both games, I encountered an issue where pushing R2 to run caused Ryo to take a diving turn to the right or left, instead of running straight. Its incredible to think that this many issues made it into the final release, especially given how common they seem to be based on what I’ve seen online and that none of them seemed to be apparent in either game’s original release. 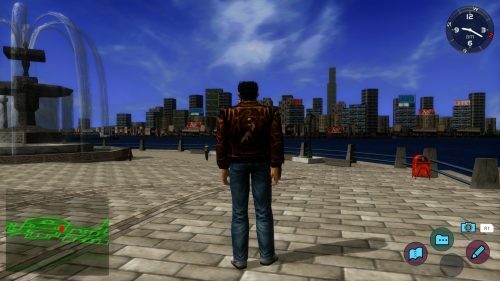 Much of my time with Shenmue I + II was filled with the promise of what might have been. What might the combat have felt like if the controls were adjusted for the release? How might the story and world of Shenmue have flowed without the artificial padding of waiting for hours on end? How might the characters had sounded with some updated audio? Given the love and technical updates we’ve seen SEGA afford the Yakuza series with Yakuza Kiwami 1 and 2, the lack of work done to Shenmue I + II leave me feeling all the more disappointed. Even their PC ports of game’s like Bayonetta and Vanquish seem to have had more work done to keep them to a high standard and avoiding the myriad of bugs found in this release. It leaves me feeling as though these ports were done quick and cheap, in an effort to get them out with a minimum of fuss and resources dedicated to them. Given how engaging the combat is in both games and how engaging the story becomes in the second, its disappointing to see them not given a treatment in line with their importance in video game history. If you absolutely feel the need to experience Shenmue I + II, especially with the release if Shenmue III coming in 2019, then maybe wait for a couple of patches before buying them, but if you’re looking for a new action game to play, there are better options out there.